Raise your eyes to the skies and observe! 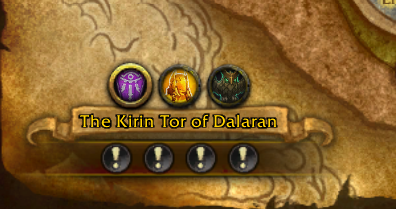 Edit: For posterity's sake, this page used to be "Citizens of Dalaran." seems this rep will be the ones cloth users will want to do leveling (so aszuna) as it will give a epic cloth chest and back. I've read here on Wowhead and on Icy-veins that you are supposed to get rep for Court of Farondis each time you kill a boss in Eye of Azshara. I went there today, and got no rep. Does anyone know why?